If you're not familiar with it, The Deep Litter Method is a brilliant old-timers method to manage your coop litter through the winter. It's easy, economical and results in beautifully composted chicken manure and bedding (whether it be straw, shavings, leaves, pine needles etc.) 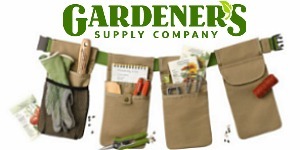 for your garden come spring. The first few winters we raised chickens, I would trudge down in the cold and ice to clean out the coop every other week or so. I would remove all the straw bedding, then sprinkle DE (diatomaceous earth) and replace the straw with new bedding. The old soiled bedding would sit, partially frozen, in our compost pile until spring. I didn't enjoy doing it, it didn't seem practical and I knew there had to be another way. Well, there IS another, better way: it's called the Deep Litter Method. I had read about it, but never tried it. 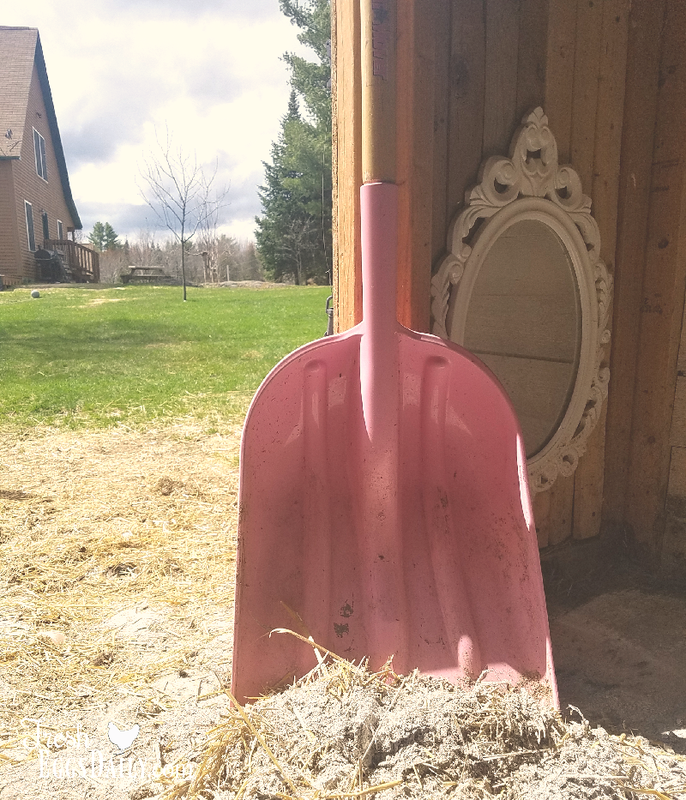 It is an almost-forgotten old-timers' method that allows manure and bedding in the coop to accumulate and decompose inside the coop all winter, then in the spring you clean the whole thing out and have beautiful compost for your spring garden. 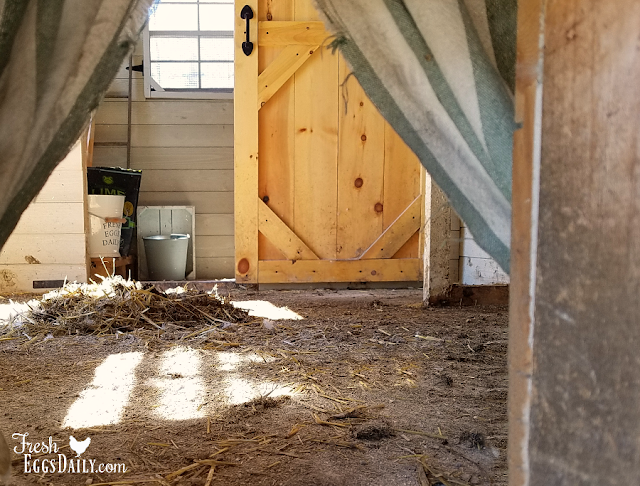 It basically consists of repeatedly turning over the soiled bedding, adding a new layer, and allowing the chicken droppings to decompose on the floor of the coop all winter, at the same time creating heat to keep the coop warm naturally. 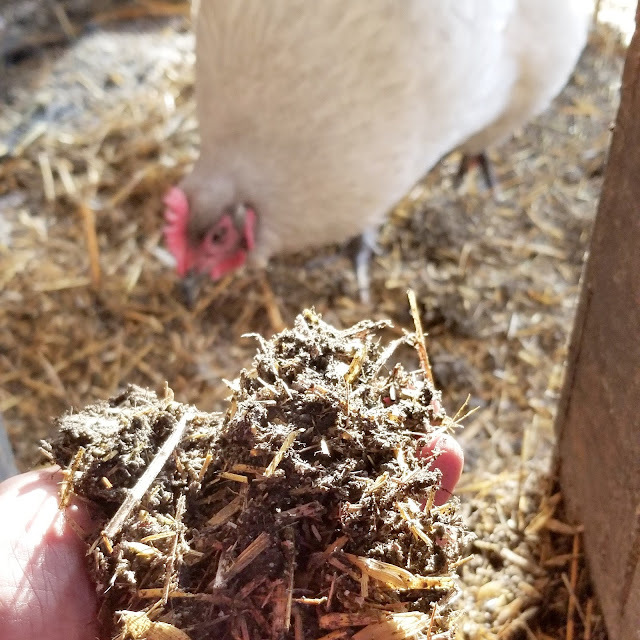 As a further bonus, as in composting, beneficial microbes grow that actually help control pathogens, making your chickens less susceptible to diseases. In fact according to Harvey Ussery, "An absorptive litter at least several inches thick is almost magic stuff. [Researchers] Kennard and Chamberlin discovered in a number of critically important experiments in the early 1940s that “built up” litter (litter allowed to become more and more biologically active over time) not only provides sanitary decomposition of the droppings, but provides positive feeding benefits as well. The decompositional microbes produce Vitamins B12 and K, which the chickens take in as they find interesting things to eat in a mature litter. The experiments even demonstrated that biologically active litter compensates for deficiencies of key nutrients, including protein, in ways that are not fully understood." In the spring, you just clean your whole coop out and dump the litter into your compost pile or right into your garden. It sounded easy and practical. So several years ago, I decided to give it a try. First I had to give the coop a good cleaning. 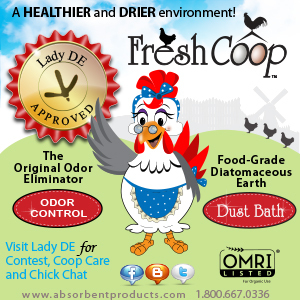 Here's what I do on a regular basis to keep the coop clean and smelling fresh. And the best part - its all natural. Now for the deep-cleaning. I use this same cleaning routine every fall. I pick a nice, warm sunny day to do my twice yearly cleaning. First I shovel out all the soiled straw and sweep out the coop as best as I can. This is also a good time to check the exterior of the coop for loose screws, hinges, shingles, etc. and make any repairs necessary before winter. A new 6" layer of pine shavings goes down on the bare floor. With the Deep Litter Method, you should use pine shavings as your bottom layer since they are small and compost fairly quickly. 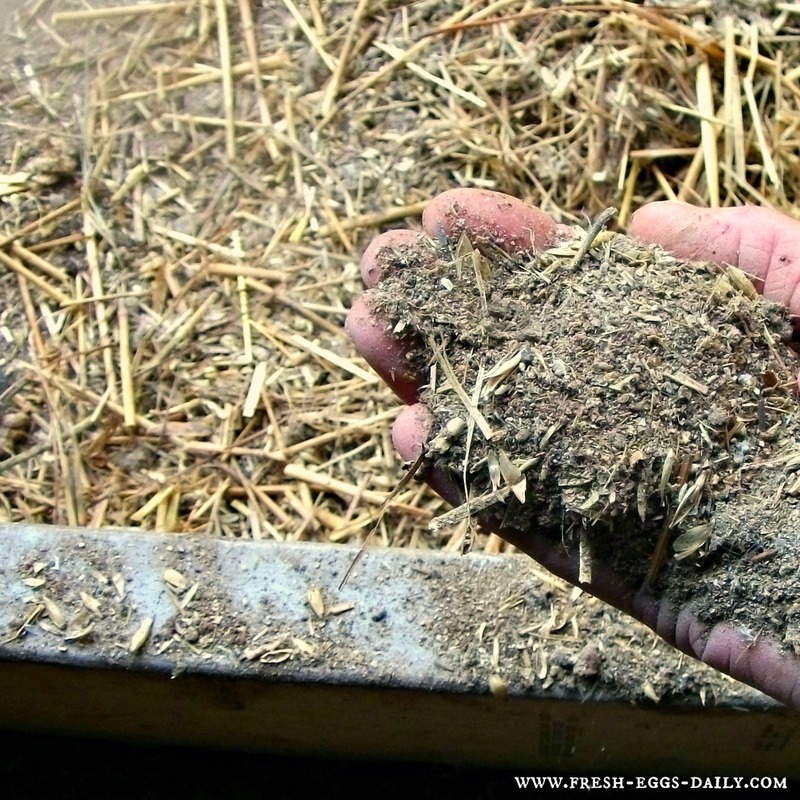 Then put a thin layer of straw over the shavings. 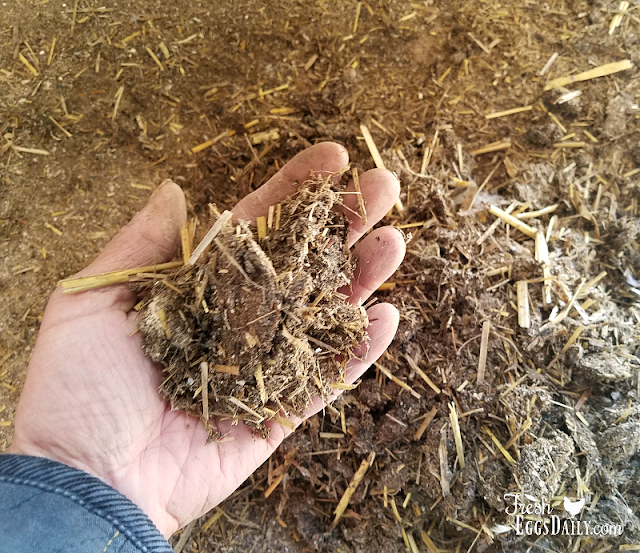 Starting with the 6" layer of pine shavings on the floor with straw on top, each morning I turn over the top straw so the soiled bedding from the night before ends up on the bottom. Chicken manure is very high in nitrogen. 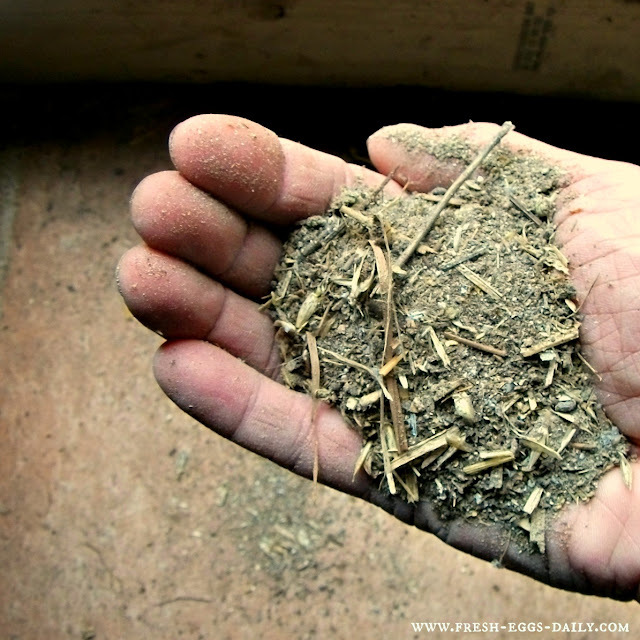 Mixing it with a source of carbon (either straw, shavings or dry leaves) will balance the mixture and hasten the rate of decomposition. It is important that your composting material contain oxygen, so turning is crucial. 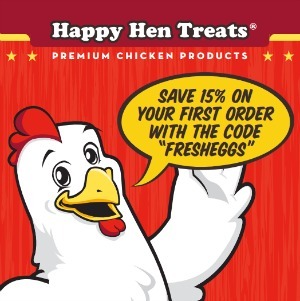 Fortunately the hens will help you with that part, especially if you get in the habit of tossing some scratch into the coop for them before bedtime. They will learn to scratch through the litter to find the scratch when they wake up in the morning. You can also turn the material with a shovel or rake. The turning and introduction of oxygen will reduce the chance of ammonia buildup. After just a few weeks, the droppings, shavings and straw will start to decompose and you will end up with a fine dirt on the bottom that looks like this. As anyone who composts for their garden knows, when properly done, composting does NOT smell and does general quite a bit of natural heat. This is the same idea as you would do in a compost pile or bin, you're just doing it inside your coop! Continue in this manner all winter. Early in the spring, sweep the composted litter into a wheelbarrow and toss it into your compost pile. 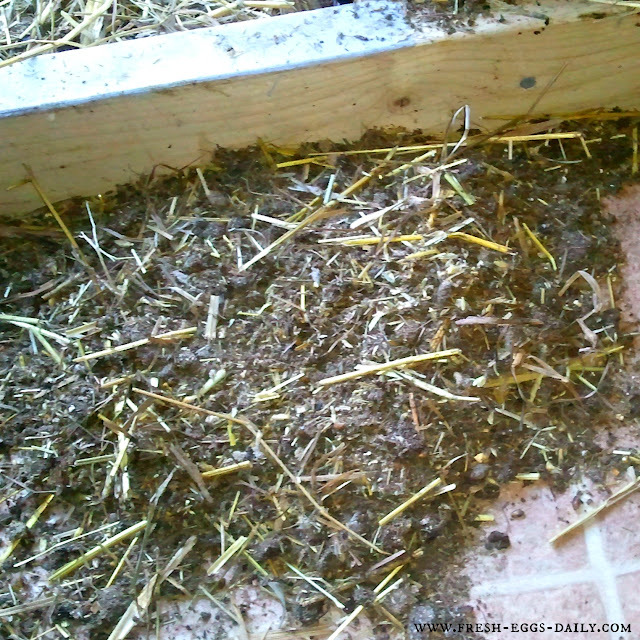 Then scrub down the entire coop, let it dry and replace the bedding with a 6" layer of straw. 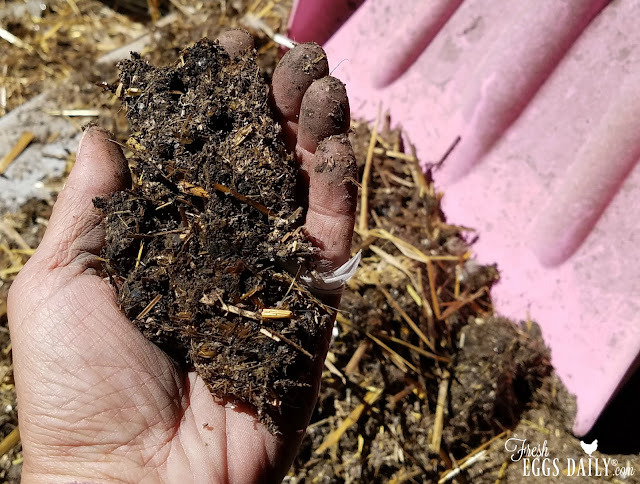 Through the spring and summer, I remove the soiled straw and it goes into our compost pile for the following spring's garden. I only replace straw as needed to maintain a 6" base. The Deep Litter Method is not appropriate during the warmer months since it does generate quite a bit of heat in the coop which you only want in the winter. Here is what you will end up with come spring. Your coop must have good ventilation (which is very important regardless of whether you use this method or not, to keep the humidity levels in the coop down to prevent frostbite) and if you smell even a hint of ammonia, you need to clean the entire coop out, let it dry then , put down a new layer of pine shavings, then straw and start over. 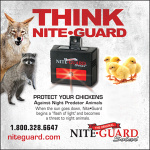 Ammonia fumes can cause eye and sinus irritation in your flock, so it's important that the coop stay fume-free. Also, you don't want to use DE when you're using the Deep Litter Method because the DE will kill the good microbes you're trying to grow. As I mentioned, the winter of 2011 was my first time trying the Deep Litter Method. I was very impressed. 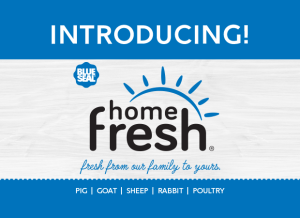 My coop didn't smell, there was no ammonia scent at all, and the coop consistently stayed 10 degrees or more higher than the outside temperature due to the decomposing litter and the chickens' body heat. I will definitely use this method every winter going forward. It is inexpensive, easy and you end up with perfectly composted litter each spring ! Just a few weeks in, and already we're starting to see a nice amount of composting going on. It's not smelly, not wet, in fact, as you can see, I just scooped up a handful without even wearing gloves. Join me here Facebook | Twitter | Instagram | YouTube| Bloglovin' |Google+ ©2012 by Fresh Eggs Daily, Inc. All rights reserved. Gingham curtains? **SMILe** Good article! When we move "back to the land" in the very near future, in Tn. I will use this method! Makes sense. Great article! Do you recommend keeping your cleaning products any place in particular? I actually do ! I keep my rubber gloves and cute pink scrub brush in a yellow bucket that hangs by the run for quick cleanups. The Dawn detergent and ACV go in a cupboard in the barn next to my first aid kit. The long-handled brush is actually what my husband uses to wash our cars, so I rinse it well, let it dry and then put it back in the garage with his car wash stuff...ssshh ! I have to say I only use Dawn Dish Soap not scented or hand lotion stuff...it is totally animal safe.... and environmentally safe... I even put it on the grease spots on our clothes...! A little bleach and dawn dish soap can do wonders in cleaning the coop...dog kennel ...bird cage....etc! Thanks for sharing this with us. I have read good things about the deep litter method, too. Do you have two compost piles then? One for this year and one that is decomposing for the following year? I am new to this. Didn't realize it took so long to compost. LindaG we have a horse so we have lots of compost piles ! I grow squash in one pile, then we cover each pile once it gets big enough and let it do its thing for awhile. 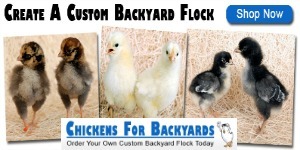 Chicken poop will burn your garden if you use it when its not completely decomposed. I err on the side of caution and clean out the coop to the compost pile to use the following year, but that's just because we have so much compost ! We're hoping to have a cow at some point in the future. Lots to learn. Thank you! I am so impressed by your blog! So happy I found it! Do you think this method would work in my COLD Alaska? My shed I am soon turning into a coop (once my 4 feet of snow melts) is all insulated so that should help.?.?. Yes, the deep litter method works best where its cold. In fact I had to give up on it last week and actually clean out my coop because its been too warm and it was starting to smell like ammonia - which you don't want. But it's meant for cold climates. 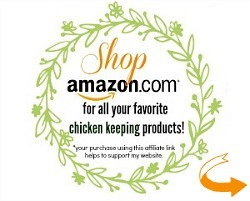 It will help heat up the coop in the winter for you. Snow is also a wonderful insulator, so having snow banks piled up around your coop is actually not a bad thing. Insulation is a good idea for you and a nice think 12" base layer of straw on the floor will do the trick. 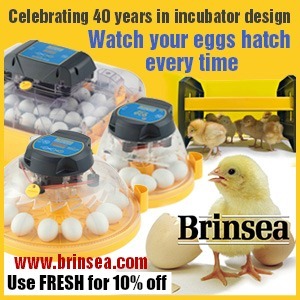 Just be sure you still have ventilation so the coop doesn't get full of stale air and moisture. Just found your page and I really like it. I was just wondering about the linoleum, where do you buy it? I mean do you just buy a new piece everytime you rip out the old or is it like a big roll that you purchased and just cut off a piece? One of our coops is 4x6 and we have linolieum in there but I just clean the linolieum and sprinkle with DE (Diatomaceous Earth). Not sure that we can afford to replace linolieum every cleaning. I buy the lineoleum off the cheapest roll Lowes has. My coop is 4x6 also and buying off the roll since its really wide you end up with extra, so probably get two floors out of it. If you scrub it clean and then let it dry out really well and sprinkle the DE you should be good for a few cleanings.I just worry about mites underneath it. Okay! I have never found any cheap linoleium at Lowe's or anywhere else, even the carpet store. Will check around to see what I can find on clearance though. I don't remember how much I paid, but its that cheap stuff they have on the rolls in the very back. Sometimes they also have ends rolled up on clearance. You can always piece if you have to. I have linoleum on my coop floor and am trying my first winter of deep litter...however, I've read on other sites that you need to have an earthen floor in order for it to decompose...that it takes some moisture and microbes to do its thing and the vinyl flooring prohibits decomposition. Thoughts? 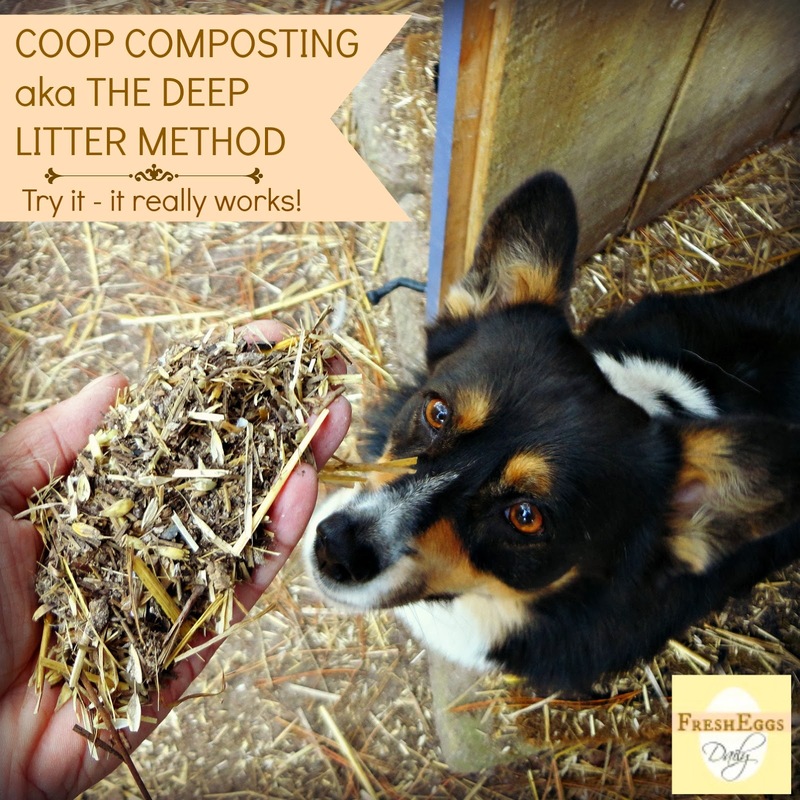 Does the deep litter method work best with straw or can you use pine shavings too? Probably easier with the straw to turn over though, isn't it? You probably could use shavings. Straw is a better insulator in winter, but I don't see why the shavings wouldn't work. They will decompose just like straw would. What do you use for everyday cleaning of say the roosting bars and such? I was thinking maybe vinegar as it is natural. Sure white vinegar would be fine, vinegar and water, or some water and Dawn dishwashing detergent. This is what I have been thinking about too. How do you turn your straw over each morning? I do not have linoleium floors I have wood. It's a stall in an old barn. Can I do this on top of a wood floor? Also, do you add kitchen scraps to this straw? Straw vs hay....does it matter? Thanks! Hi. Wood floors will work fine also. 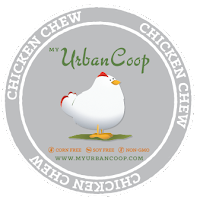 No kitchen scraps, but if you toss some scratch, cracked corn or sunflower seeds into the coop each evening, the chickens will turn it over for you. 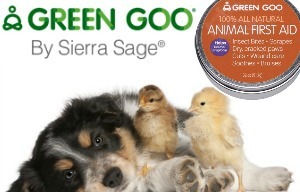 Only straw ever - hay is too 'green' and can harbor bacteria and mold which can be toxic to the chickens. Straw is drier and should be used exclusively for bedding. I can't afford to replace the linoleum in my kitchen let alone each time you clean the coop? never heard of this, using it, but replacing all the time. 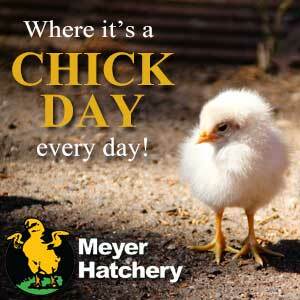 I have a concrete floor and will try the deep litter next year when I have chicks. I plan to dry and store grasses and weeds also for the bedding. Don't have money for straw either. The weed seeds will be good for them in winter also. Is it necessary to turn over each day? 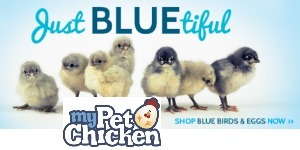 I hope to have 5 hens and a roo so wonder if my 10X12 pen inside my small building needs it done each day? In summer they will be in a portable coop all the time with us moving it each day. 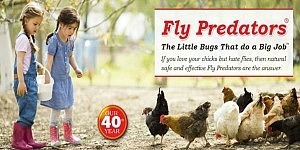 Great articles for those learning all they can before getting chickens. Enoyable and very informative. This little coop is only 4x6 so I only needed a small piece of linoleum. I replace the flooring maybe every two years and just until I find a scrap at Lowes in the discount bin. They will turn it over for you, especially if there are seeds in there. Dried leaves or pine needles are also great FREE bedding choices. Used the deep litter method last winter as my 8 hens were stll pullets (hatched Oct. 15, 2011)I wanted to provide the optimum heat source without relying on electricity. Was delighted with it and the hens were too, I believe. We all moved to a new property mid Summer and their new coop was designed with a tray under the roost filled with granulated stall freshner. 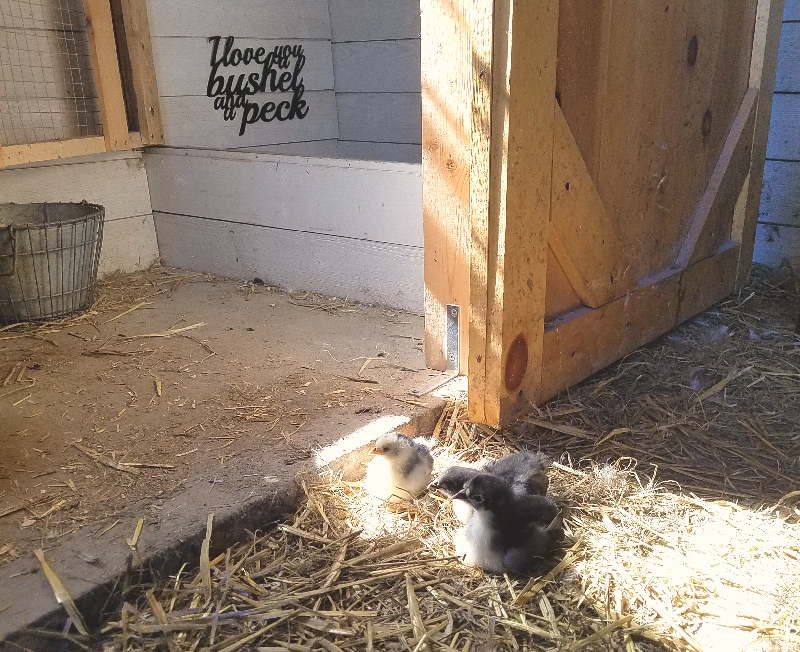 The gals had no problem adjusting to their new reality of no bedding, the coop always smells fresh, it is easier and quicker to clean, and the occassional egg my silkies lay while on the roost (adorable but not the brightest bulbs) aren't found broken in the morning. This is my prefered method with mature hens. Hi there. Sure it works on wooden floors. Old-timers didn't have vinyl flooring for sure. If you look at the photos, its not wet, it won't rot anything. If you farm sitter just tosses a few handfuls of scratch into the coop each evening, the chickens will turn it for you. Give it a try. At worst, you won't like it and have to clean it all out and go back to your normal method- but at least you will have saved yourself a few cleanings! The bedding will absorb any bit of moisture. Try it and let me know. my son is new at this and he has a coop with just the dirt flooring. is that ok for the hens? 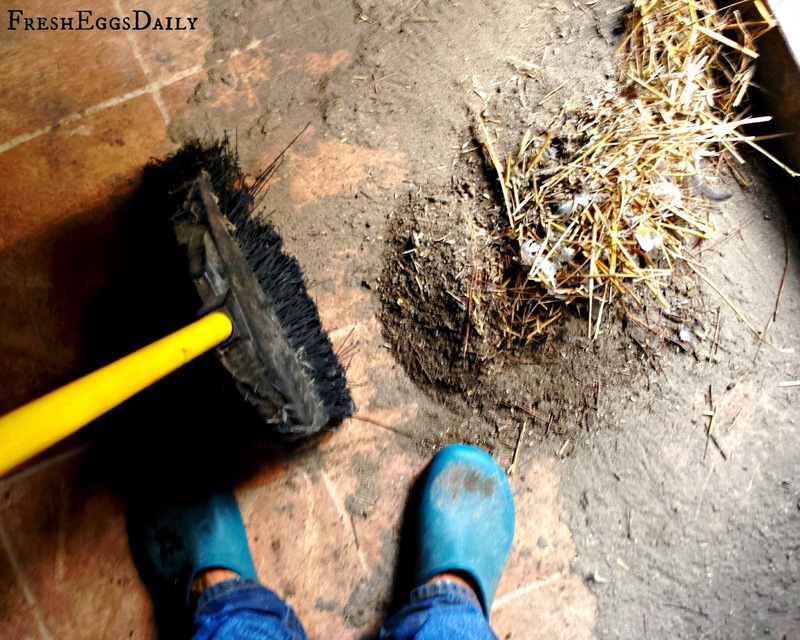 A dirt floor is fine for the deep little method and a coop in general as long as predators can't dig underneath. I would ring the perimeter with some chicken wire or other fencing sunk into the ground a few inches and then stack wood or stones around the outside also to prevent digging. we are new at raising chickens. Can you please tell me what DE is and what its used for? I love your chicken coop and the color, How many chickens does it hold? Hi thanks! The coop is Eddie Bauer I believe Cranberry. 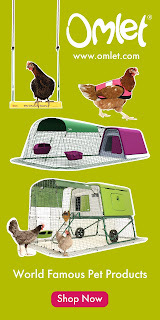 It's 4x6 and perfect for up to 12 hens as long as they have a large run or yard for daytime. The plans are for sale on the left hand side at the top from my etsy shop. 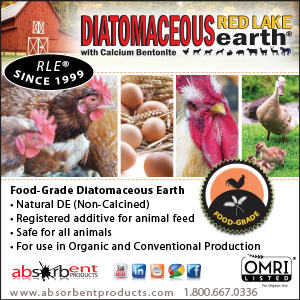 DE is diatomaceous earth - there's a post called The Holistic Trinity that explains more. Would this deep litter method work in a smaller A-frame coop? It just seems that much of my pine shavings go to waste cleaning the coop each week. I do put them on my compost pile though. As for ventilation I have two 'windows' at each end of the coop. Sure, we used it in our 4x6 coop also for a few years. Just be sure and turn everything over frequently. Thanks. So maybe I should remove the obvious poopy and turn the rest huh? Will have to give it a try. 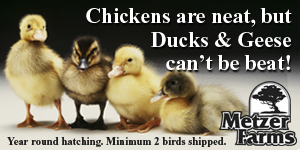 I REALLY,REALLY want chickens. Praying I will be well enough to take care of some this summer. Your blog is such an encouragement for me. Thank you for sharing. It really doesn't have to be so complicated or challenging, especially if you had a small flock and had someone help you set up an automatic watering system. You don't have to turn the deep litter if you aren't walking on it, just keep adding bedding/substrate when you see fresh poop piled up. I am a farmer and homesteader who got Lyme, I was quite surprised how everything continued to survive and thrive without me fussing over everything. It actually was part of my healing, I wouldn't have left the couch if it wasn't for my animals :) Well wishes. I also use the deep litter method as described in this good article-and would like to share my experience with it. This year I started out with freely available dry (dirty and ouchy)pine needles and oak leaves for the bottom layer rather than buying the pine shavings (prices went way up!) 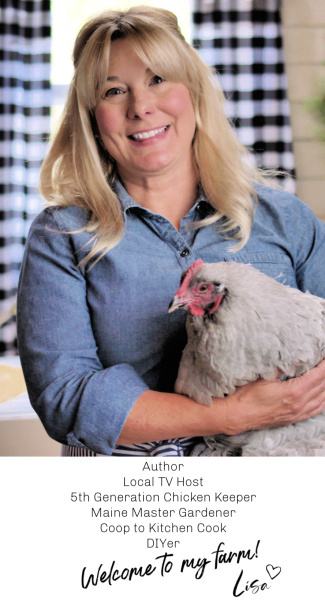 It's all good - the hens do exactly the job described of mixing it up and refining it all. By the end of our long winter the pile of straw is well over a foot thick/high! I think if you have a small coop door it would be overcome with the depth of the litter & you'll likely need to raise the feed by some mechanism as you go, as well as a way to keep the waterer high enough, whether they are hanging or attached to the wall or just on the ground.... (I use a full-sized shed, and my full-size door has to be forced open daily as it opens inward)so consider the layout of your coop & it's amenities in this method. I also have a high ceiling in comparison to the coop with a hinged roof- so I add a heat element near the waterer. (It freezes with regularity, but a bit of hot water added each morning usually fixes things). Was that floor tile or linoleum? I'm wanting to get chickens and just trying to figure out the best coop etc from reading all these different posts and blogs.. I buy the cheapest end of the roll vinyl linoleum flooring I can find at Lowes. It usually lasts for a few years just fine and makes cleanup SUPER easy plus prohibits mites from burrowing into the wood on the floor. With all my coops and dog houses I have always used marine spar varnish on the wood floors. Two or three good coats. This keeps the floors from retaining moisture, rotting and so easy to clean when the time comes. I want to convert a shed to a chicken coop. The floor is plywood and ground level. I can use the marine spar varnish or linoleum on the floor. It gets pretty wet here in NC. Will it be ok if my coop is not raised up? Will snakes be a big problem? I am 100% new to this, it is my spring project, so any advise or information is appreciated! Thanks. 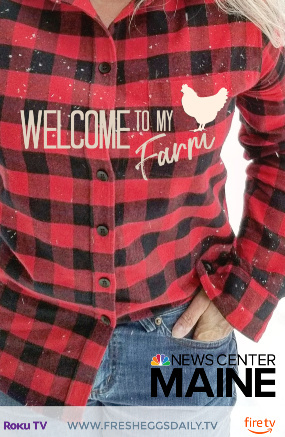 I am about to embark on my first winter with my chickens (9 total). I feel like my coop situation is different as it has a concrete floor. 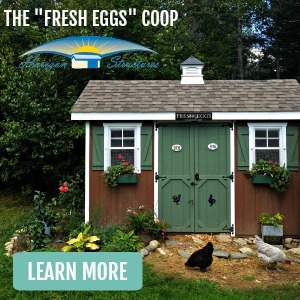 Do you have any advice or recommendations for this type of coop. Will the deep litter method work on concrete? It sure will work on concrete, it will work just great, just keep building up that layer of shavings, pine needles, straw and poop etc. Ah! That's the part of this method I'd been missing - turning it on a daily basis. Has anyone tried placing a heavy tarp on the floor first? I have a shed with a treated plywood floor. I would think that a tarp would be nice in the spring when it comes tine to remove the deep bedding and clean it all out. If you are not suppose to use this method for summer, and sand is a no-no, then what are you suppose to use? I use straw year round. Just a thin layer in the summer that I rake out and replace every other week or so. When you remove your deep liter bedding in the spring can it go right into the garden? I read that you put it into your compost bins. Is this just because you have so much compost? Or does it need more time? Thank you! Also is it okay to do the deep liter method in a smaller coop? We have three girls.